*Snoop Dogg wants to save Roscoe’s Chicken N’ Waffles from collapsing, after the parent company of L.A.’s iconic restaurant filed for Chapter 11 bankruptcy earlier this week. 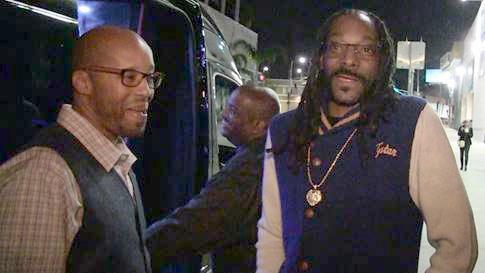 Snoop was surprised by the news when TMZ broke it down to him and rapper Warren G outside of Lure Nightclub in Hollywood. When they were asked to share their thoughts about Roscoe’s financial hardships, Snoop suggested the perfect solution. As FoodBeast notes, legal troubles have plagued the famous Southern California chain for a couple years now, most recently when the company lost a workplace discrimination and wrongful termination lawsuit filed by a former employee, Daniel Beasley – who is African-American. He sued Roscoe’s in 2015 for what he told KTLA was, “preferential treatment to Latino employees,” by an all-Latino staff. He was awarded $1.6 million. Additionally, in 2011, Roscoe’s in LBC was sued for copyright infringement for failing to obtain proper licensing fees for live musicians to play at its side lounge for artists. The court awarded the plaintiff, Range Road Music Inc., more than $160,000. Roscoe’s debt stems from a list of lawsuits and other financial mismanagement, such as $16 million in unreported taxes, and the U.S. Bankruptcy Court in California estimated the company could owe creditors anywhere between $10 million to $50 million. However, according to the LA Times, the company’s assets total less than $100,000. Peep the video below of Snoop and Warren G talking to TMZ about the famous eatery.